Where do I get my design ideas from? Lately, I have been designing around gifts from my 84-year-old friend, fondly known up at our local diner, Aunt Sam’s Uptown Eatery in Alton, IL, as “Jimmy the Greek”. 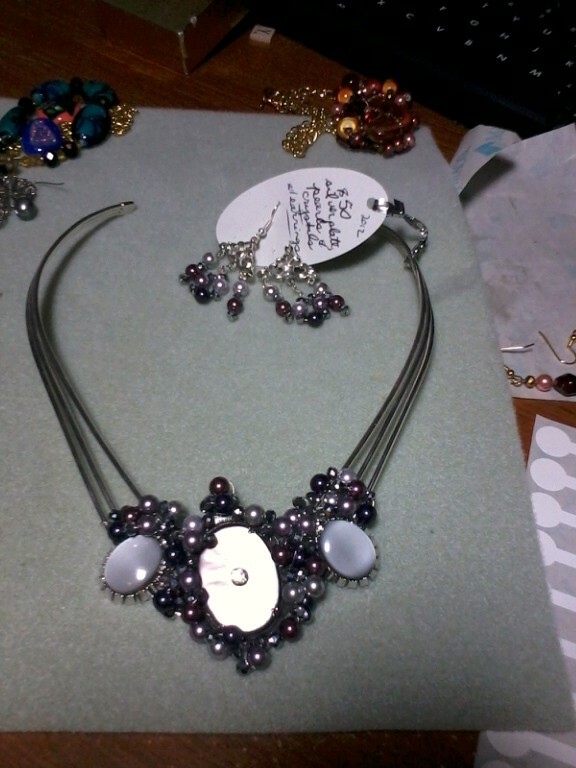 Recently Jimmy gifted me with some of his late wife’s old costume jewelry. 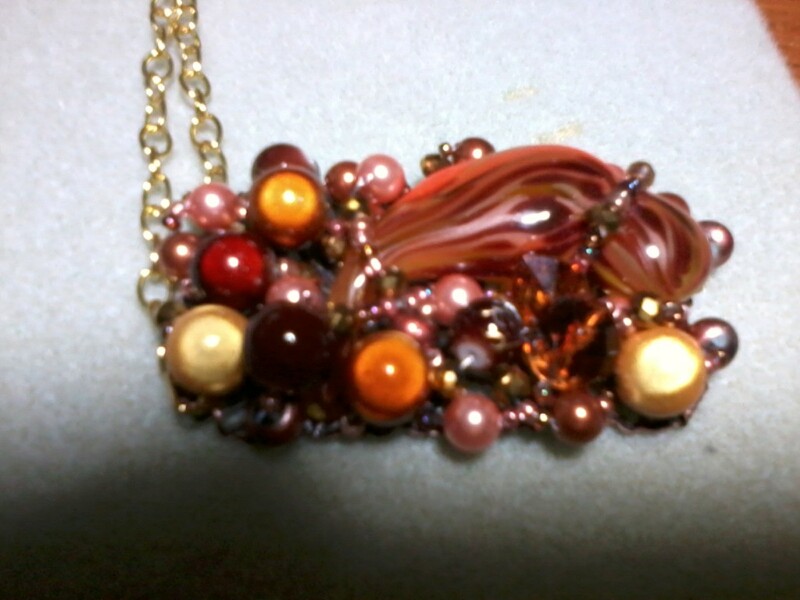 I have used some of her pieces and added to them to create new pieces, as in the cluster necklaces I’ve been posting. 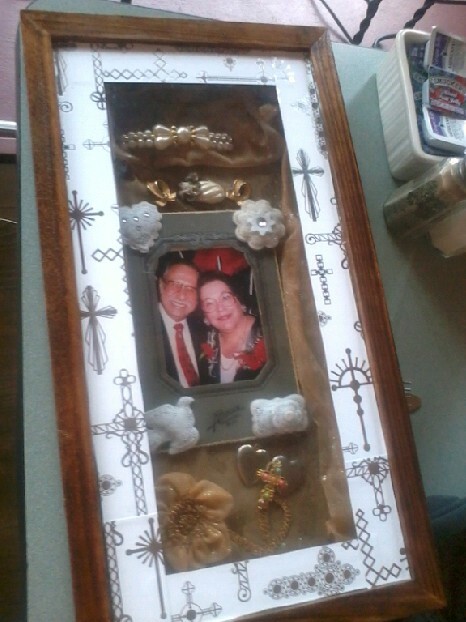 But I wanted to do something just for Jimmy, to honor him and wife, Helen, so I made a shadowbox. 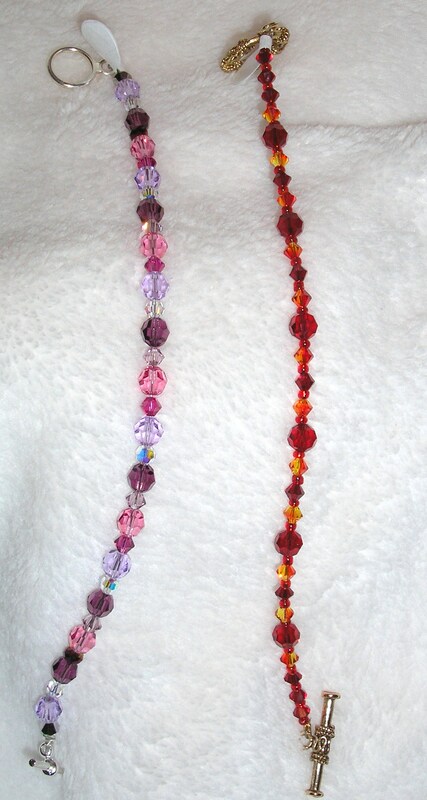 I used some of Helen’s old jewelry for accents, and one of her scarves as the background. 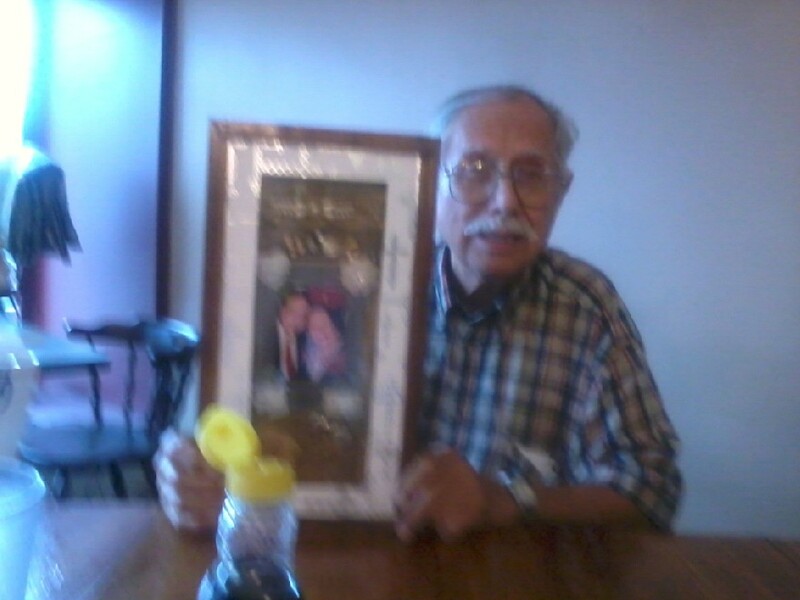 I left a placeholder for a photograph – Jimmy had his daughter-in-law put a wonderful photo to Jimmy and Helen together in the old-fashioned frame. The weather should be perfect for Grafton’s Art in the Park Sat. 10-6 & Sun. 11-5 – come see us! This weekend I will be selling some of the cluster designs I have made using Helen’s things – but the shadowbox – is NOT for sale! 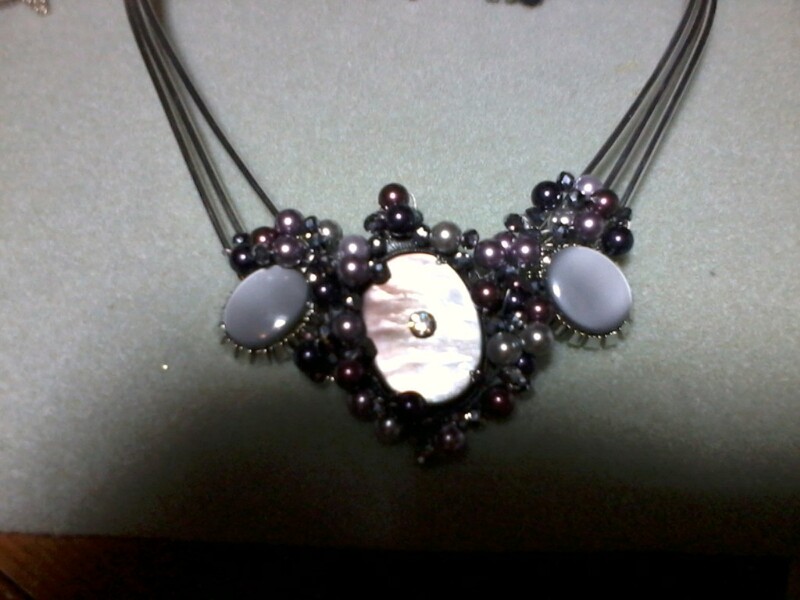 Again using the Color Purple Swarovski assortment of pearls, I surrounded a silver butterfly pin with the pearls & purple and silver crystals. 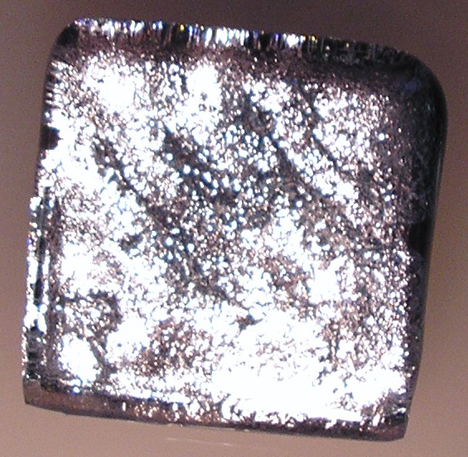 The silver collar can be adjusted to fit one’s neck. 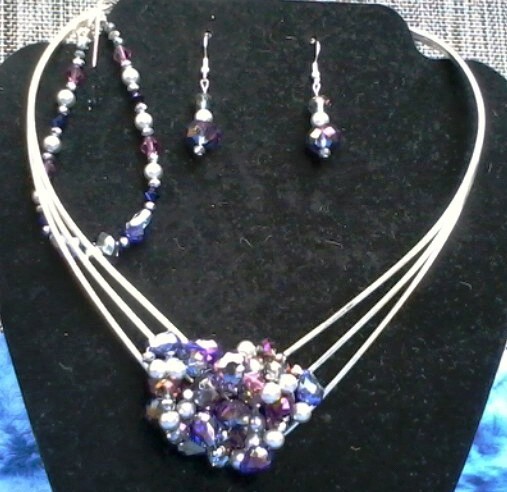 The earrings and necklace set is $40. 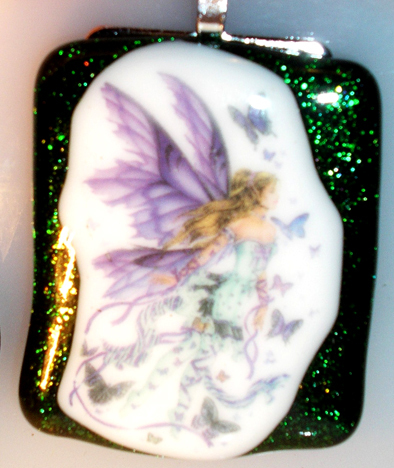 It will be available at the Carlyle Wine and Art Festival this weekend, August 18 & 19, in Carlyle Illinois. 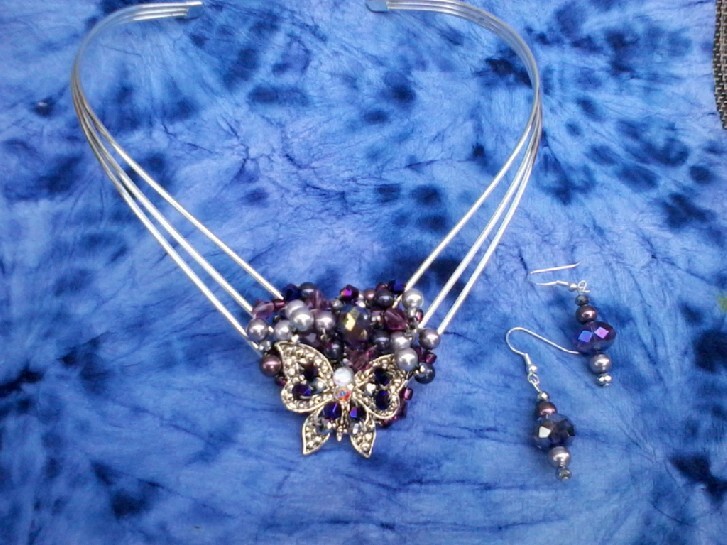 I placed Swarovski crystal elements silver and purple crystals and pearls on a silver-plated adjustable collar to create this Colors of Purple ensemble. 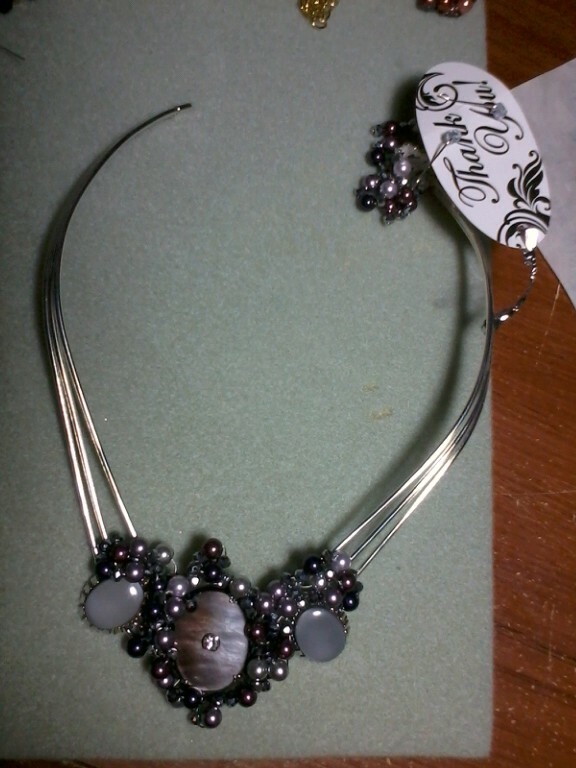 Necklace, bracelet, & earrings $50 for the set. Can I help it if I sparkle? Must be the pixie dust! How to stay busy on a cold midwestern morn? 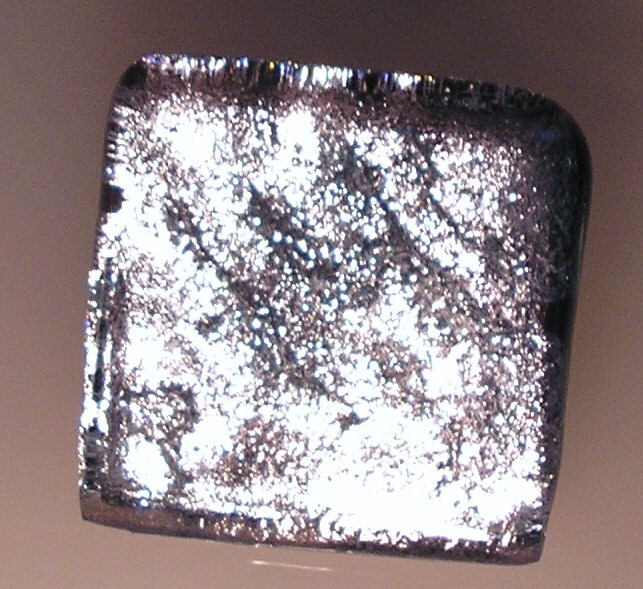 Turn glass into silver, like I did with this piece above! 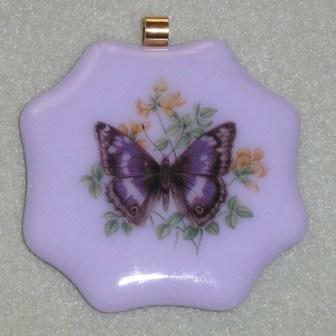 Staying by my kiln, which gets to over 1600 degree Farenheit sometimes, keeps me very warm & toasty on below-zero days!